Most of us love to travel. One of the biggest annoyances of travel is that we don't speak a region or country’s native language. This can be quite a bummer if you're out shopping and don't know how to communicate with the locals. Also, this may even increase your chances of getting conned by locals. Though I'm not trying to scare you, being lost in translation isn't the best thing you'd want to see outside of a movie. To remedy that problem, tourists often rely on guidebooks that help them communicate the basics of the language. The issue with these guidebooks is that they don't help you quickly look up and translate items while on the go. This is where smartphone apps come in handy. These apps let you enter a phrase in the local language and translate it back to your own language. They can even take voice input and translate it back to you so that you can have conversations with the locals using your personal "translator". 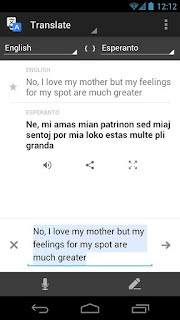 There are a few apps on Android that will let you speak the languages of the world and in this article, we've covered some of the best and handy translation apps for available Android. Google Translate is undoubtedly the best translation tool available at this moment. The free application lets you translate back and forth between as many as 65 different languages. One of the best features of this application is that it allows you to speak the text into your smartphone and then it gets translated back in 17 languages. If you're out to visit another country or a city that doesn't speak your language, reading street signs can be quite an ordeal. Google Translate comes in handy here by letting you point your camera to the sign and translating it on the go. 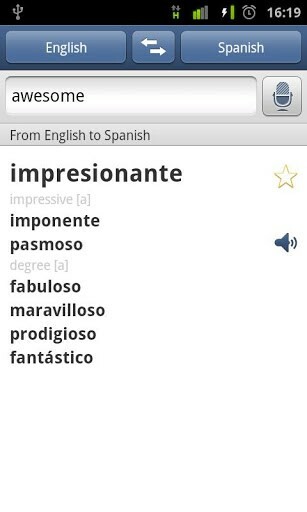 If you're using the smartphone in a hurry, the phone's spoken translations feature also serves useful. Finally, if you're using the phone where there is little or no network, the app can also be accessed offline making it the best translating tool around. Though not a translation app per se, ColorDict will come in handy if you're looking for meanings of foreign words. 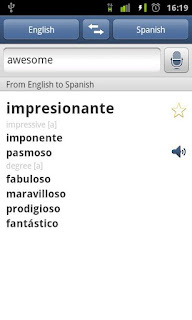 The app comes with both online and offline dictionaries thus letting you quickly search for meanings of words. 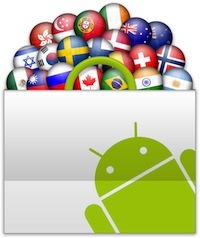 iTranslate is one of the most popular iPhone translation apps that has been ported to Android. With over 50 languages recognized, this free application lets you listen to high-quality voices in as many languages as you want. 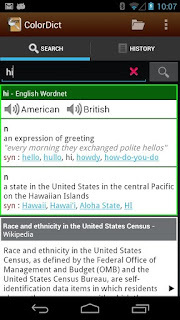 You can translate words, phrases, or even chunks of text with this free application. Thanks to its translation capabilities in so many languages, iTranslate serves as the perfect alternative to the super popular Google Translate. If you're a fan of Bing's translation tools, then this app will come in handy. Quick Translate uses Bing to give you accurate translations of text from over 36 different languages. There is also a function to translate text from SMSes making it quite handy if you have friends from all around the world. Talk Translate is a free application that lets you translate and listen to as many as 36 global languages. With voice recognition available for 12 different languages, this free application lets you speak into the mic so that you can get a rough translation of your words in the language you desire. 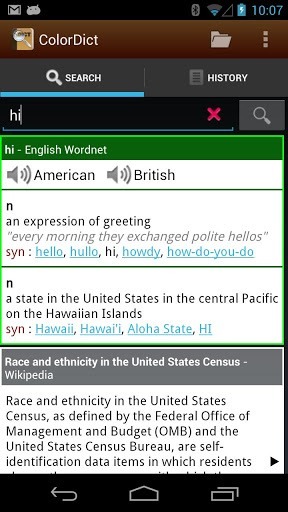 If you're hooked up to the Internet, the app also provides real-time translation of the words you say. 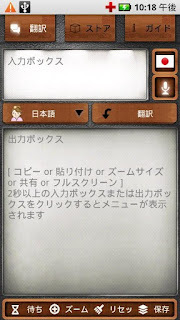 Though not even nearly as good as Google Translate, this app does serve as a handy alternative to the popular translation app.